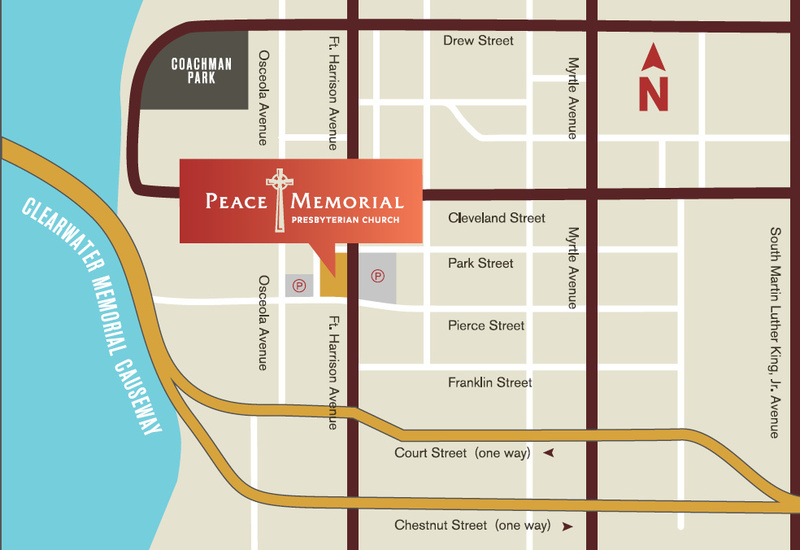 The church is located on South Fort Harrison Avenue, north of Court Street/Route 60 and south of Cleveland Street, before traveling over the Route 60 bridge to Clearwater Beach. Visit Google maps for driving directions from your location. Ample parking is available behind and across the street from the church. In front of the church (east side), directly across Fort Harrison Avenue; this larger lot has entrances via Pierce Street or Park Street. There is wheelchair/stroller accessible entrance, as well as designated parking, in the small parking lot behind the church.